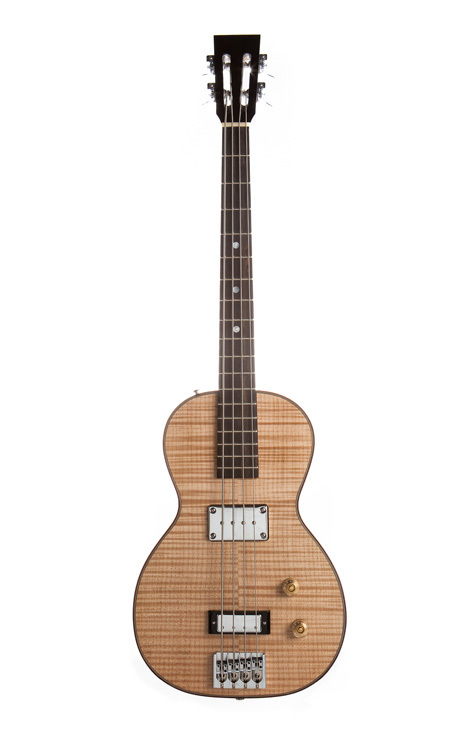 This is the first bass guitar to join Specimen's Luddite series of custom instruments. 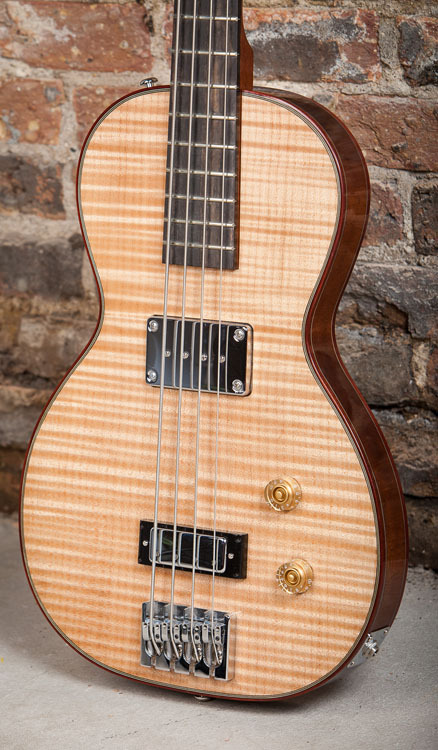 It has all the splendor of an EB-style bass—super-rich lows, accompanied by the nice bright alternative of the bridge pickup. 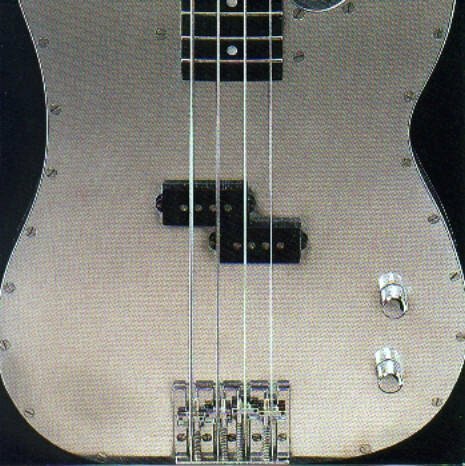 This custom bass guitar features the classic and minimal Specimen circuitry with additive volume controls like a Jazz bass. 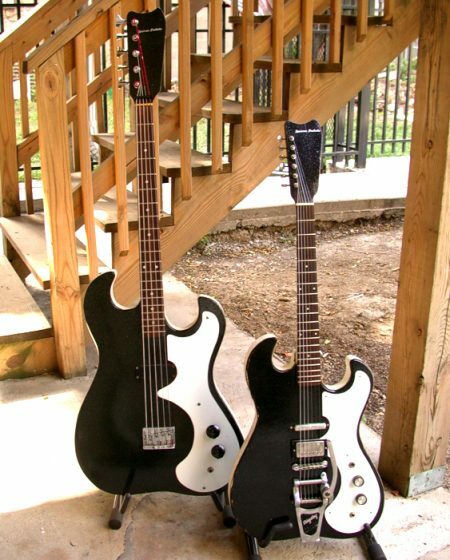 There is such breadth of frequency response between the two pickups that no tone control is needed. 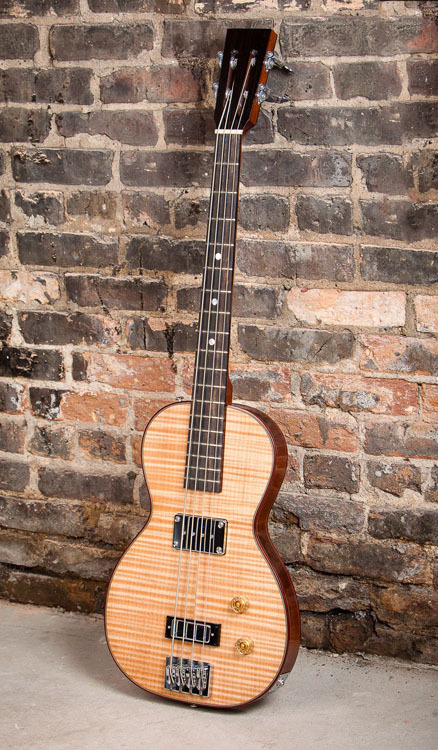 The 12th fret body join yields a nice, long neck pocket making the instrument solid like a rock. 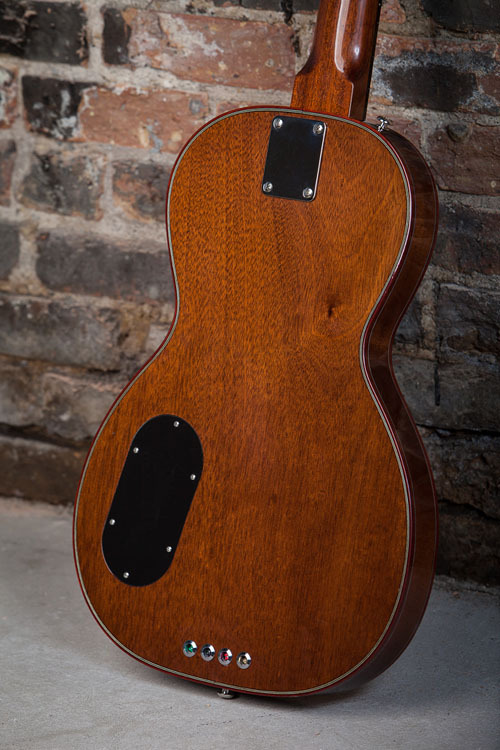 Sharing some of the DNA from the Specimen Amontillado, it has bloodwood binding surrounding a beautiful book-matched flame maple top. 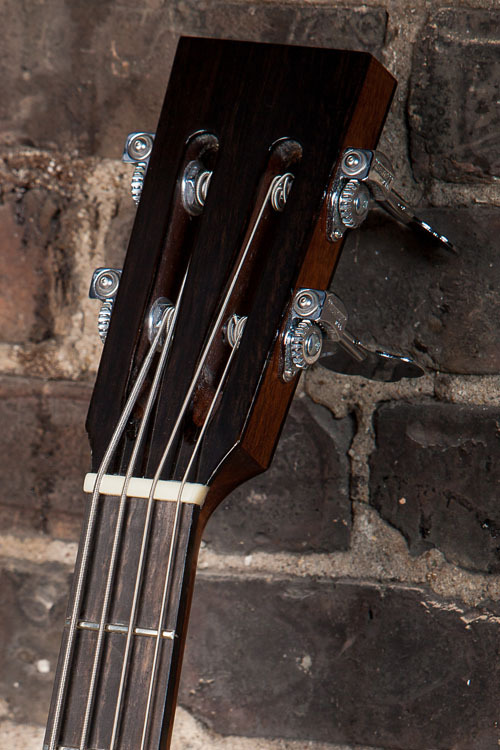 A slotted headstock provides greater break angle of the strings over the nut for enhanced contact and vibration transmission. 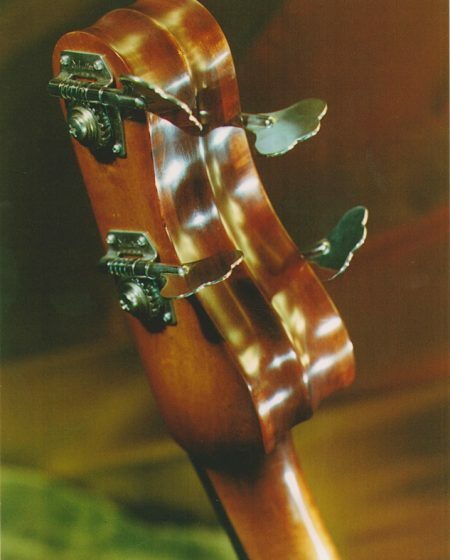 This effect is even more profound with bass strings. 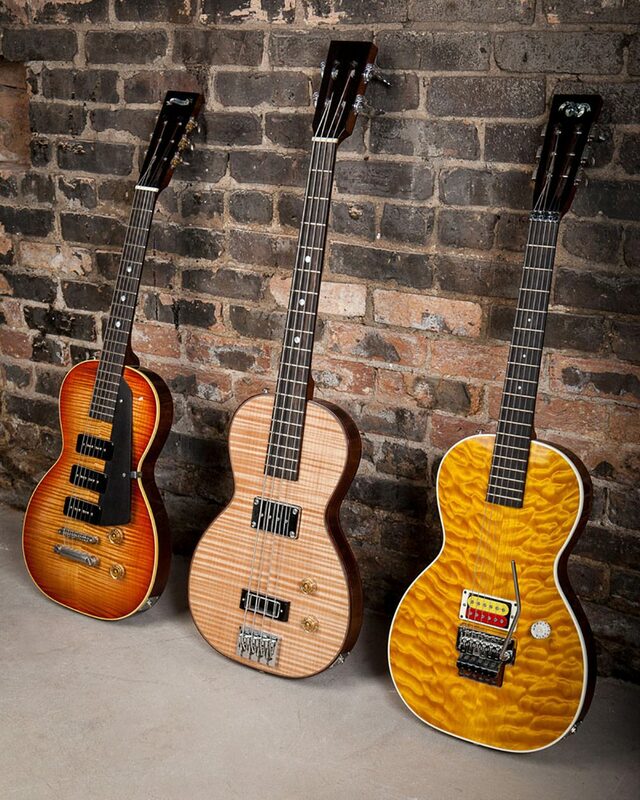 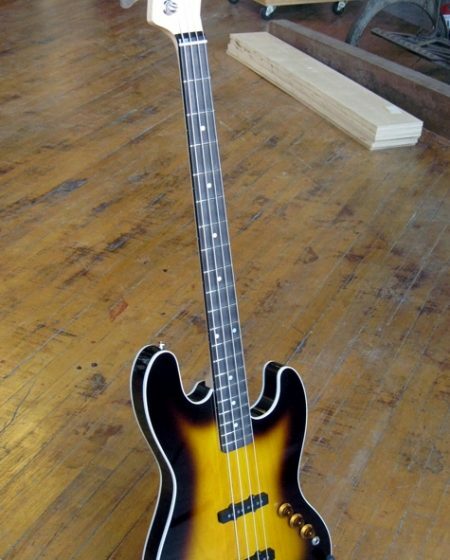 Interestingly enough, there have been very few electric bass guitars that sport slotted headstocks. 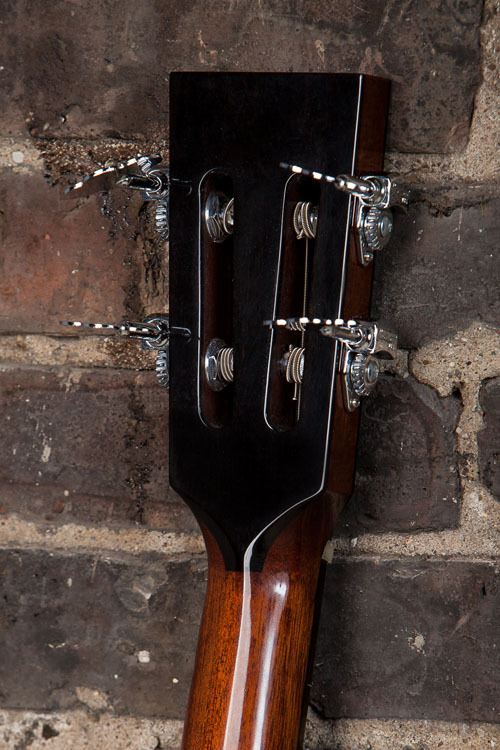 Specimen specially re-machined the Hipshot tuners to adapt them to fit the slotted headstock. 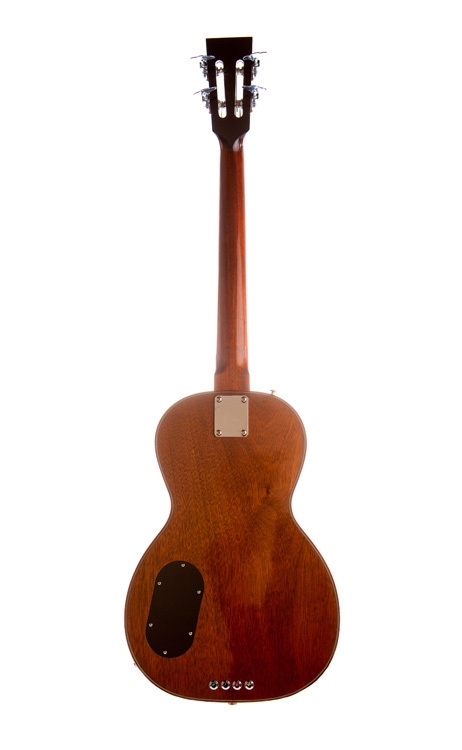 For photos taken during the building of this Specimen Bass guitar, visit our blog.